Amazing Theatre Space: 2 Stages! Celebrating 13 Years in CO! Camps @ Mizner Park, East Boca 7th Year at Our Phenomenal Cultural Arts Center Venue! Going on 7 Years in FL! Celebrating 5th Year in Naperville! 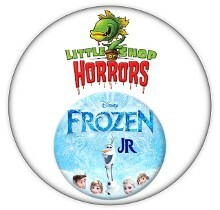 Denver, Colorado Musicals & Plays! 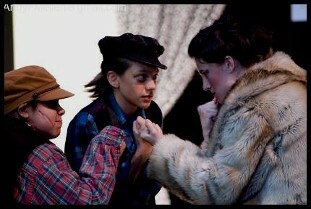 Rocky Mountain Conservatory Theatre is committed to the development of young people through the medium of theatre arts. Our mission is to teach children the skills that they will need to cultivate healthy relationships, build self-esteem, and generate positive attitudes. We help to turn dreams into reality by giving our students a reliable process of working in the performing arts. Our experienced staff has a collective vision to further the education of our students through cultural and artistic expression, while working in a progressive, university-style environment. 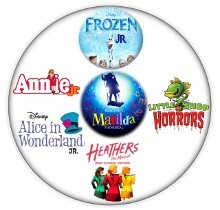 Rocky Mountain Conservatory Theatre's 2019 Happenings Include: Children's Theatre Summer Camp in Denver, Colorado and Children's Theatre Summer Camp in Boca Raton, Florida and in Naperville, Illinois with Youth Plays and Musical Theatre Productions, Auditions, Acting Classes for Kids, Young Adults, and Teens, Children's Theater Show Tickets, Disney and Broadway Musicals in Denver's University area, and Boca Raton's Mizner Park Cultural Arts Center, the best kids and teen acting & Summer Film classes and professional stage education, and much, much more! 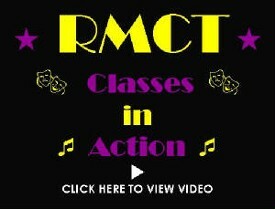 Rocky Mountain Conservatory Theatre Offers Children's Acting Classes and Summer Camp in Denver, CO (in Denver's University neighborhood / DU area location) and in South Florida at Mizner Park and at the Boca Raton Community Center and in the downtown district of Naperville, Illinois, the best metro Chicago suburb - Sign up for Summer Shows and Summer Camp Events for Kids of All Ages. 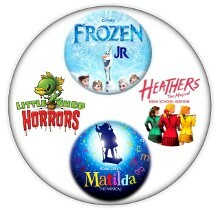 Family Favorites 2009/2010/2011/2012/2013/2015/2016/2017 in BOTH 'Theatre Company' and 'Day Camps' categories'! Offering theater summer camp, kids acting classes, kids acting auditions, theater classes for kids, theater classes for kids Denver's University DU area, acting classes teens, kids acting summer camp, youth theater tickets, Colorado shows all in Denver, Colorado, theater classes for kids Boca Raton, Florida, theater classes for kids Mizner Florida, Palm Beach kids shows, Broward kids show, Naperville, Illinois, programs in summer and during the school year for students of our school. Rocky Mountain Conservatory Theatre COLORADO summer camp for stage & film & acting school works with children, older kids, and young adult students who reside in Denver, the DU / University of Denver neighborhood, Boulder, Greenwood Village, Cherry Hills Village, Cherry Creek, Englewood, Centennial, Highlands Ranch, Castle Rock, Littleton, Lakewood, Golden, Aurora, NorthGlenn, Morrison, Arvada, Westminster, Wheat Ridge, Evergreen, Glendale, Lone Tree, Parker, Sedalia, Idaho Springs, Conifer, Commerce City, Thornton, Broomfield, Lafayette, Louisville, Superior, Erie, Brighton, Fort Lupton, Henderson, Longmont, Nederland, Lyons, Colorado Springs, Fort Collins, DSA, Denver School of the Arts, Homeschooled, College-Bound, and from all over the United States, Canada, Mexico, and Internationally. Rocky Mountain Conservatory Theatre FLORIDA summer camp for stage & film & acting school works with children, older kids, and young adult students who reside in Boca Raton, Florida, Mizner Park Cultural Arts Center, Boca Raton Community Center, St. Andrew's School, Palm Beach County, Broward County, Miami-Dade County, the FAU, Florida Atlantic Universitry / PBCC Palm Beach Community College / Lynn University area, BAK Middle School, Dreyfoos High School, Delray Beach, Deerfield Beach, Highland Beach, Parkland, Boynton Beach, Lake Worth, Wellington, West Palm Beach, Pompano Beach, Lighthouse Point, Oakland Park, Ft. Lauderdale, Hollywood, Davie, Hallandale Beach, Weston, Mirimar, Hialeah, Aventura, Lantana, Green Acres, Royal Palm Beach, Hillsboro Beach, Coconut Creek, Coral Springs, Tamarac, Margate, Lauderhill, Plantation, Cooper City, Dania Beach, Victoria Park, Wilton Manors, Pembroke Pines, Homeschooled, College-Bound, and from all over the United States, Canada, Latin America, and Internationally. Rocky Mountain Conservatory Theatre ILLINOIS summer camp for stage & film & acting school works with children, older kids, and young adult students who reside in Naperville, Aurora, Bolingbrook, Wheaton, Warrenville, Winfield, Oak Brook, Downers Grove, Hinsdale, Westmont, Lisle, Woodridge, Westmont, La Grange, Elmhurst, Lombard, Glen Ellyn, Carol Stream, Bloomingdale, Glendale Heights, Geneva, St. Charles, Oswego, Oak Park, Schuamburg, Plainfield, Joliet, Romeoville, DuPage and Will counties, the Chicago, the DePaul University, North Central College, Northern Illinois University, and Northwestern College areas, Homeschooled, College-Bound, from all over the the Midwest, and Internationally. Shows this year are Disney's Peter Pan, The Addams Family, Flat Stanley, Legally Blonde, DreamWorks' Shrek, DreamWorks' Madagascar, James & The Giant Peach, Urinetown, Doctor Dolittle, Beauty & The Beast, Cinderella, Into The Woods, Filmmaking / FILM Camp (with focus on acing for tv / television / movies / commercials) and more! Rocky Mountain Conservatory Theatre summer camp for stage & film & acting school specializes in not only acting, stage, and theater classes, but also film, camera, screen, movie, and television work. Whether your child wants to work on Broadway or Hollywood, RMCT Instructors have the experience to help your children learn the skills to stand out in plays, musicals, in commercial work, movies, or on tv. Join us for a class, summer camp, private lesson, workshp, or contact us anytime!